A former governor of Jigawa State and Peoples Democratic Party presidential aspirant, Sule Lamido, on Saturday kicked off his electioneering campaign by declaring at a rally that he was confident of becoming Nigeria’s president after the 2019 general elections. Mr. Lamido held the rally at the PDP office in Birnin Kudu Local Government Area of the state. He had, before the rally, reportedly travelled across Nigeria meeting leaders of the party to notify them of his intention to run for the presidency next year on the platform of the opposition party. According to the official election timetable released by the electoral commission, INEC, campaigns are not supposed to start until later in the year. This did not, however, deter the former governor from addressing the rally. Speaking before thousands of his supporters, he dared “whoever that person may be” in power to try to prevent his emergence as Nigeria’s next president, which he said is the will of God. 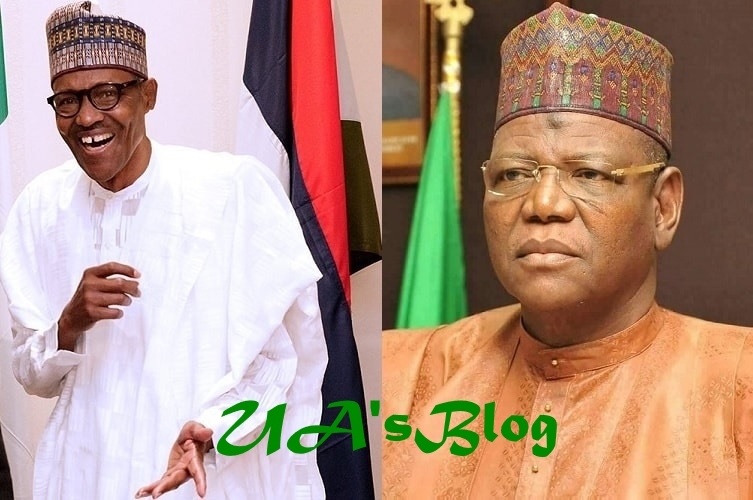 Mr. Lamido aimed several jibes at President Muhammadu Buhari, who is also expected to seek re-election; beginning by declaring that unlike him, the incumbent president is not an original Fulani. Mr. Buhari is from Katsina State in the same North-west geo-political zone as Mr. Lamido’s Jigawa State. “The 2019 presidential election is undoubtedly going to be between an original Fulani man and a fake Fulani man who was governor and minister at different times,” the aspirant declared to his cheering supporters. He said although Mr. Buhari is a Fulani by birth, he does not speak the language. Speaking in Fulfude to the crowd, he challenged the president to translate some of his remarks; declaring immediately that Mr. Buhari could not do it. He also took a swipe at Mr. Buhari’s record in public offices, saying it could not stand beside his own. “Under President Buhari, Nigerians have been starved to the extent that they cannot protest against the hike in the prices of essential commodities in the country,” he said. Mr. Lamido then gave a brief history of his political struggle he said dated back to 40 years, through which he said he rose from party youth activist to become a lawmaker, party chieftain and minister before his election as governor of Jigawa State. The former governor also dismissed as political persecution, his ongoing trial by the Economic and Financial Crimes Commission for alleged corruption while he was governor. Mr. Lamido alongside two of his sons, Aminu and Mustapha, and two others have been arraigned by the EFCC on a 27-count charge for alleged abuse of office and money laundering. He described officials of the All Progressives Congress federal government as thieves who he said have deceived and disunited Nigerians along religious lines. In an effort to get the presidency to respond to Mr. Lamido’s remarks about the president and his government, Premium Times made several calls to Garba Shehu but the presidential spokesperson did not pick the calls. Mr. Lamido, who has been in the PDP since he co-founded the party in 1998, is seeking the presidential ticket of the opposition party. He is expected to contest for the ticket against other aspirants including the Ekiti State Governor, Ayodele Fayose, who has also declared his interest despite the party formally zoning the ticket to the northern regions of the country. Former vice president, Atiku Abubakar, who last year dumped the APC, is also expected to run for the ticket.